Summary: Hagar is for us a model representing single mothers everywhere, and her story displays both the problems and the solutions in God’s program for single mothers. In a time of great rejoicing, when everyone else would have been having a good time; Sarah looked over in the midst of the celebration and saw that Ishmael was making fun of her new son Isaac. Paul tells us in Galatians that he who was born according to the flesh persecuted him who was born of the spirit. Filled with rage that her son was being tormented, she immediately told Abraham to send the woman and her son away. But Abraham was a righteous man, and he was unwilling to comply until God assured him that he would care for Hagar and her son. Filled with that assurance, Abraham acquiesced and gave Hagar a skin full of water and a loaf or so of bread and sent her off into the desert. He did the best he could, but after this moment, Hagar would be all alone. Who knows how long they journeyed in the desert, finally the water was gone, and thirst began to set in. Ishmael now greatly humbled by his thirst walked beside his mother until he could go no further. Finally Hagar sat her son down under a scrub of a bush and walked a short distance away. Her heart was breaking because she knew there was nothing left to do but die. She couldn’t walk far away because she didn’t want her son to die alone, but she dare not stay to close lest she be forced to watch her son die. Now in despair she began to sob. And then God showed up. My friends this story for all it’s familiarity is both touching and powerful. For all it’s harshness, it is full of promise and hope for those who would despair at their last moment. Because whether it’s our lives or someone else’s, life itself is hopeless and painfully unbearable until God shows up. That’s a significant section of our local population which our church should be poised to meet. The struggles that single mother’s face are enormous, and not every one is as fortunate as Mandy to be surrounded by a family that helps and a church that loves and forgives. Many single mothers, struggle alone to fulfill the jobs of both mother and father, a job they were not designed to fill. When troubles mount and hopelessness rears its ugly head it becomes hard to find God in the midst of the struggle. That’s where we come in. There are people in our community from all sorts of backgrounds languishing in depression and need. They need to be reminded by our works as well as our words that God is a very present help in time of trouble. And God can use us; we here at Fame Church as His hands and feet to lighten the burden of single mothers. 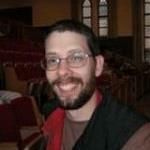 I’m convinced that we as a church need to be active in our statement of faith. Our God is a living God and He want’s us to be his living hands and feet on this planet. We can make an impact on single mothers in our community. We can lift them up, and lead them to Jesus; and we can meet their needs in the name of Christ - and in so doing serve Christ Himself. 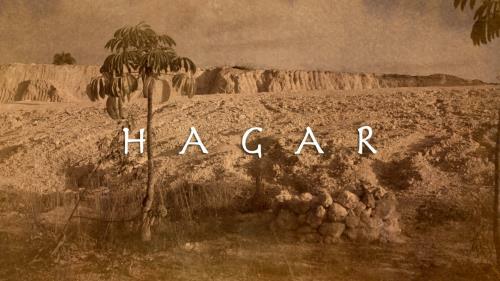 Tonight I want to take Hagar’s name as an acronym to show you what we can do to change a life. If there’s one message we need to bring it’s this: Through us God will take Care of you. HOPE - Try to imagine Hagar pushing off into the wilderness, supplies for a day or so at her side, and her son walking beside her. She’s been ousted by the boy’s father - someone she couldn’t even call her husband. Now she’s alone and terrified, wondering what’s she’s going to do when the bread and water give out. Then look at Hagar putting her son under the bush and walking a stone’s throw away to sit and wait hopelessly for her son’s death. Single mothers often deal with feelings of guilt, real or imagined, combined with tremendous feelings of inadequacy and hopelessness. Single mothers are also dealing with the sudden stark reality that this child is going to take the rest of her life to raise, a life some of them had barely begun to live themselves. It doesn’t matter how they got to be single mothers; Teen pregnancy, Divorce, being widowed, or abandoned. They’re often struggling alone, isolated and scared of the future; they need CONSTANT ENCOURAGEMENT. Hagar is for us a model representing single mothers everywhere, and her story displays both the problems and the solutions in God’s program for single mothers.